Everyone loves a good cup of coffee. People see it as an integral part of their everyday lives. Today, however, more and more Americans are making their coffee at home. Not only will it help you save money, you can make your coffee just the way you like it. To make the brewing process easier, interesting, and more fun, let’s take a look at some cool coffee accessories. Here are 8 cool coffee accessories that will enhance your brewing experience. 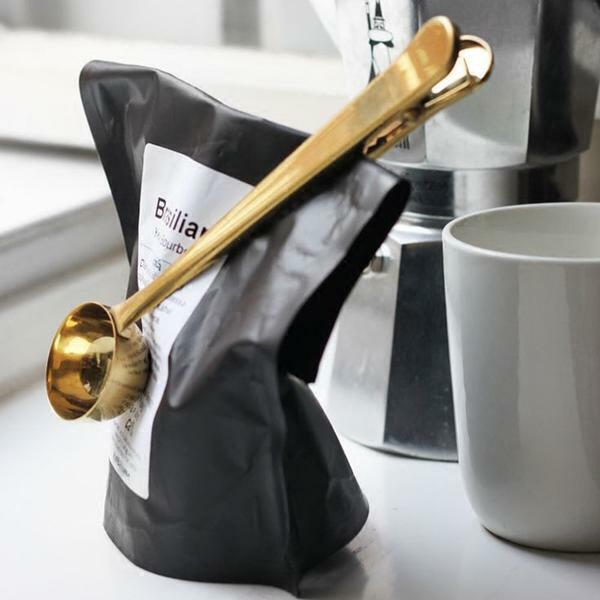 These accessories will not necessarily help you make the perfect cup of coffee. Rather, they can make brewing a real pleasure. Here at The Best Espresso Machine Hub, we love smart designs that also saves space. This handy tool keeps your coffee fresh while keeping your caffeine measurement consistent. The measuring spoon is very durable and is made of stainless steel. This cool and functional coffee accessory is available in gold or rose. The average coffee drinker consumes about 2 to 4 cups of coffee a day. If you usually buy coffee from your local coffee shop, imagine how many disposable cups you throw out in a week, a month or a year. In fact, studies suggest that Americans dump about 58 million disposable cups every year. 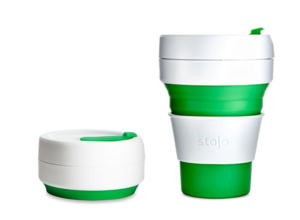 If you are concerned for the environment and you’re looking for a way to reduce waste, Stojo may be something you need. It is a reusable cup that quickly collapses into a leak proof disk. Since it is compact, you can take it with you wherever you go. No more bulky travel mugs. Plus, it is microwave safe and BPA-free. It also comes with a reusable straw, which is perfect for sipping smoothies and iced drinks. Have you experienced burning your tongue on a piping hot cup of coffee? You leave it for a few minutes, only to come back to cold coffee. It’s frustrating, I know. The Coffee Joulies will ensure that you drink your coffee at the right temperature. 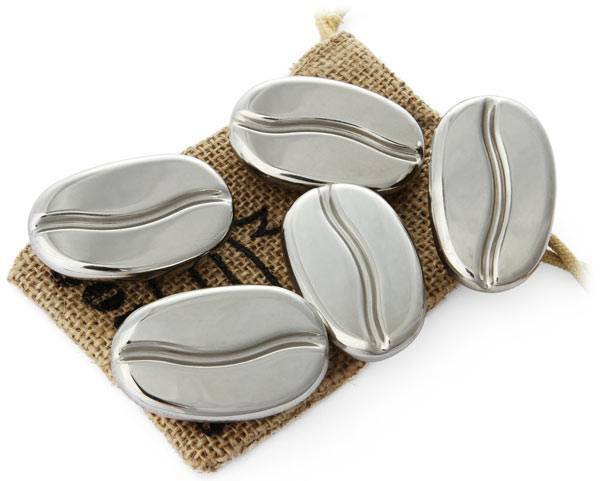 Coffee Joulies are stainless steel coffee beans that keeps your coffee at the right drinking temperature. The beans soak up excess heat from your cup, so you can drink it right away. Also, you don’t have to worry about your coffee going cold as the beans give back the stored heat into your cup of coffee. With cool coffee accessories such as the Coffee Joulies, you will never drink too hot or cold coffee ever again. Most people start the day with a cup of coffee. But once the afternoon slump kicks in, you’ll need something stronger. Perhaps a shot of espresso? Instead of buying a few espresso cups and mugs, why not buy something that can handle all your caffeine needs. 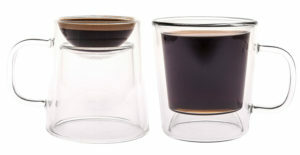 The Gamago Double Shot Coffee and Espresso Mug has room for coffee on one side and espresso on the other. For us, cool coffee accessories are not just sleek and functional, they also do double duty. 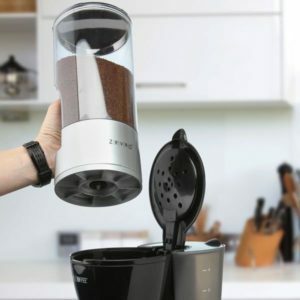 The Zevro Ground Coffee Dispenser is designed for storing your ground coffee and dispensing the right amount for a perfect cup. 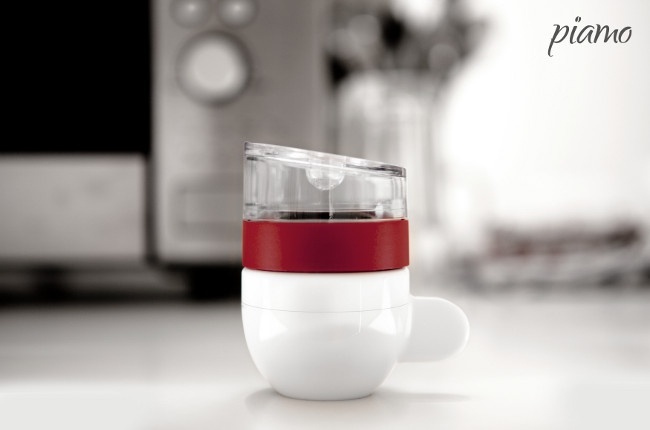 The coffee dispenser holds up to ½ pound of pre-ground or home-ground coffee. It’s just what you need to preserve the aroma and freshness of your coffee. 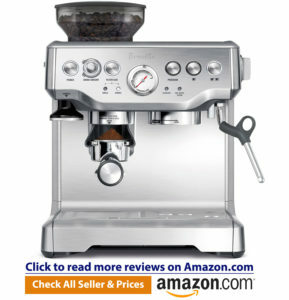 Also, it dispenses 1 tablespoon of ground coffee directly into your espresso machine or coffee maker. This innovative device will soothe your coffee loving soul. Most people don’t have enough time to make coffee in the morning. Often, they would run out the door and just drop by the local coffee shop on their way to work. 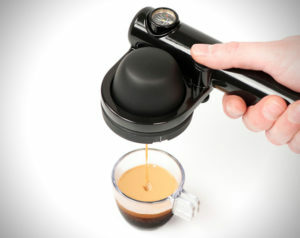 Piamo, a German company has figured out a way to make good quality espresso in a jiffy. In fact, your espresso will be ready in just 30 seconds. This tiny coffee maker makes individual portions of espresso. All you have to do is to fill the chamber with water, add the coffee ground, secure the cap, and put the coffee maker in the microwave. It is one of those cool coffee accessories that will up your coffee intake game. 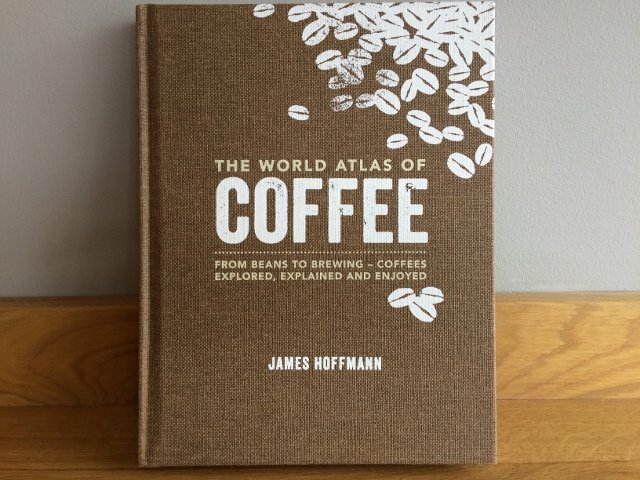 For coffee lovers who want to understand more about coffee, this is for you. 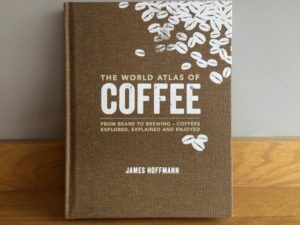 The World Atlas of Coffee contains comprehensive details on the beans and brew of more than 35 countries. From Bolivia to Zambia, the author has provided all the necessary details you need to make sure that the coffee you drink is the best you can find. If you usually make your own coffee at home, you know how hard it is to find good quality coffee when you travel. If you frequently travel and you’re looking for a portable coffee maker that you can take with you wherever you go, you may want to consider getting the Handpresso Wild Hybrid Espresso Maker. it is lightweight and portable, so you can have your espresso at work, while camping or anywhere you go.